I am late to the party on trying Alikay Naturals products. However, I am sure that I am not the only one. I’ve heard and read a lot of positive reviews on the product line. I decided to try the Lemongrass Leave-In Conditioner because I love a good leave-in for my dry tresses. The perfect hair solution for ALL HAIR TYPES. After washing, deep conditioning and detangling my hair I sectioned my hair and applied the Alikay Naturals Lemongrass Leave-In Conditioner. I then followed up with my oil of choice and a styler. Pros – If you’re a fan of lemon then you will enjoy the scent of this product. The scent reminds me of a lemon-flavored Starburst candy. Yes girl! Prepare to salivate just a little. It’s also light weight, which depending on your preference in products can be great to allow for movement in your strands. be where my wash day was going wrong. I scanned over the ingredients list again and determined that the silk amino acids were most likely the culprit. I really wanted to like this product, but the silk amino acids just won’t let my hair be great! Since my fine, low porosity, 4c hair is already susceptible to dryness, adding fuel to the fire was not acceptable. I think this would probably work better for women who don’t struggle as much with their hair moisture levels. The product is all natural and made from a black owned company. 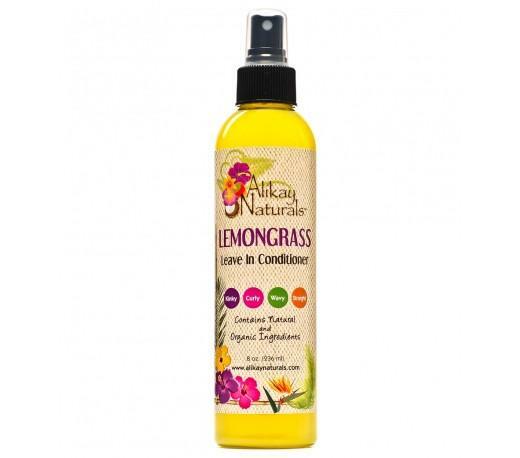 Have you tried the Alikay Naturals Lemongrass Leave-In Conditioner?